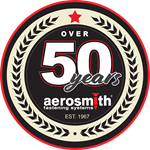 Aerosmith Fastening Systems offers unprecedented innovation, solutions for construction, industrial and specialty markets, and support for our industry partners. ASTM is an international standards organization (ASTM) that develops & publishes voluntary consensus technical standards for a range of materials, products, systems, and services. American Concrete Institute (ACI) is a resource for the development and distribution of consensus based standards, technical resources, education, and certifications for the construction, design, and related materials associated with concrete. The International Code Council (ICC) is a member association for the development and distribution of model codes and standards used in the design, build, and compliance process for structures. Progressive Engineering Inc. is a professional services company with certified expertise in architecture, engineering, product testing, code evaluations, and third-party reviews & inspections. The National Association of Trailer Manufacturers (NATM) of light to medium duty trailers for commercial to recreational uses. Specialty Tool and Fastener Distributors Association (STAFDA) for the education of distributors, manufacterers, and rep agencies involved in the construction or industrial markets. 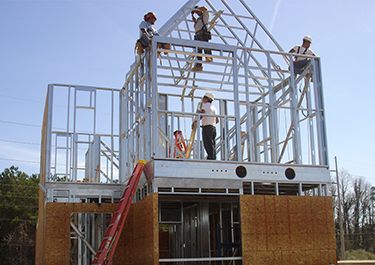 The Steel Framing Industry Association (SFIA) for the education, programs, initiatives, and advancement of cold formed steel framing used in construction and related products. The National Wood Flooring Association (NWFA) is a group for the education and technical resources of the wood flooring industry. Modular Building Institute (MBI) provides information and education to support the owners, developers, architects, engineers, and contractors who design, build space. The American Iron and Steel Association (AISI) is the trade association of steel producers providing education, specifications, and standards to the steel industry. Association of the Walls and Ceiling Industry provides Contractors, Suppliers and Manufacturers with resources to operate a successful business in the wall and ceiling industry. Sphere 1 is a cooperative of tool, fastener, and concrete accessory distributors, working together to achieve competitive and sustainable advantages in our marketplace. NOTE: The logos and descriptions are provided from respective websites and Aerosmith Fastening Systems is not responsible for content depicted above.